Don’t Just Sit There Foundation is committed to spinal cord and brain injury recovery, the community of people living with spinal cord injuries and their many friends, families, and associates who derive strength from one another. We believe that, along with therapy, social events and interactions outside of therapy strengthen our community as well as serve to build confidence and lasting relationships. To us, recovery is about overall well-being and redefining recovery not as returning to who we once were but who we want to be and the future that we want to have. One person at a time, one day at a time, one step at a time, together we are making a difference. 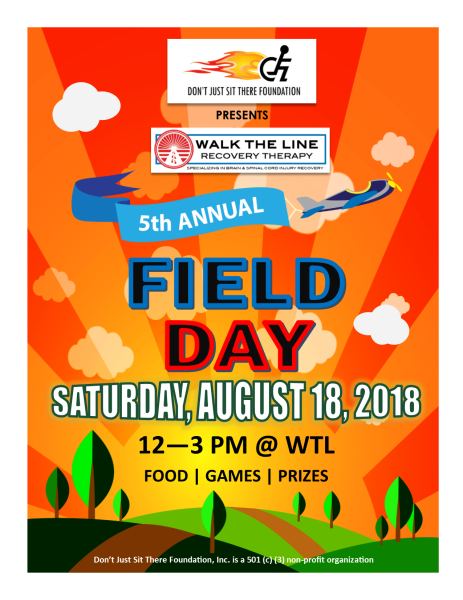 DON'T JUST SIT THERE FOUNDATION is proud to present the 5th Annual Walk The Line to SCI Recovery Field day Saturday, August 18, from 12 to 3 p.m. Please see event flier at left for further details. 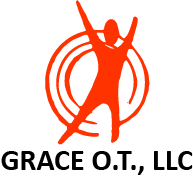 Don't Just Sit There would like to give special thanks to Walk The Line to SCI Recovery's 5th Annual Field Day sponsors who helped make the event a tremendous success.